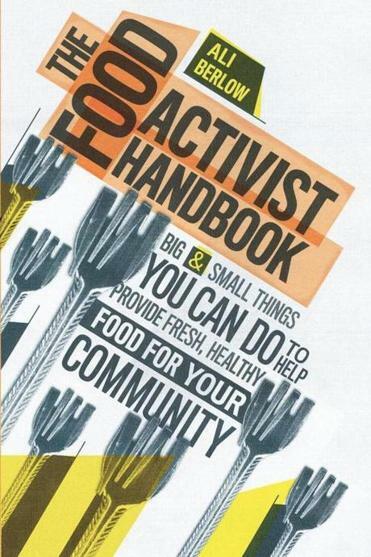 The title of Ali Berlow’s new book is quite a mouthful: “The Food Activist Handbook: Big & Small Things You Can Do to Help Provide Fresh, Healthy Food For Your Community” (Storey). Yet she does an excellent job of providing — in digestible chunks — dozens of steps anyone can take, from going meatless on Mondays to helping your school’s booster club offer healthier food. Berlow, the co-owner of Edible Vineyard magazine and founder of Island Grown Initiative, a grass-roots nonprofit on Martha’s Vineyard, writes with a can-do spirit that feels infectious.